Von Beginn an hat das Dowland Project des hierzulande nicht zuletzt durch seine Arbeit im Hilliard Ensemble bekanntgewordenen Sängers John Potter aus unterschiedlichsten musikalischen Traditionen geschöpft, darunter auch denen der 'Alten Musik' und der Improvisation. Die nun erscheinenden "Night Sessions" verdeutlichen die improvisatorische Flexibilität und den Einfallsreichtum der Musiker, die hier neue Musik aus dem Moment heraus erschaffen - zum Teil mit mittelalterlicher Poesie als Inspirationsquelle und Orientierungspunkt. 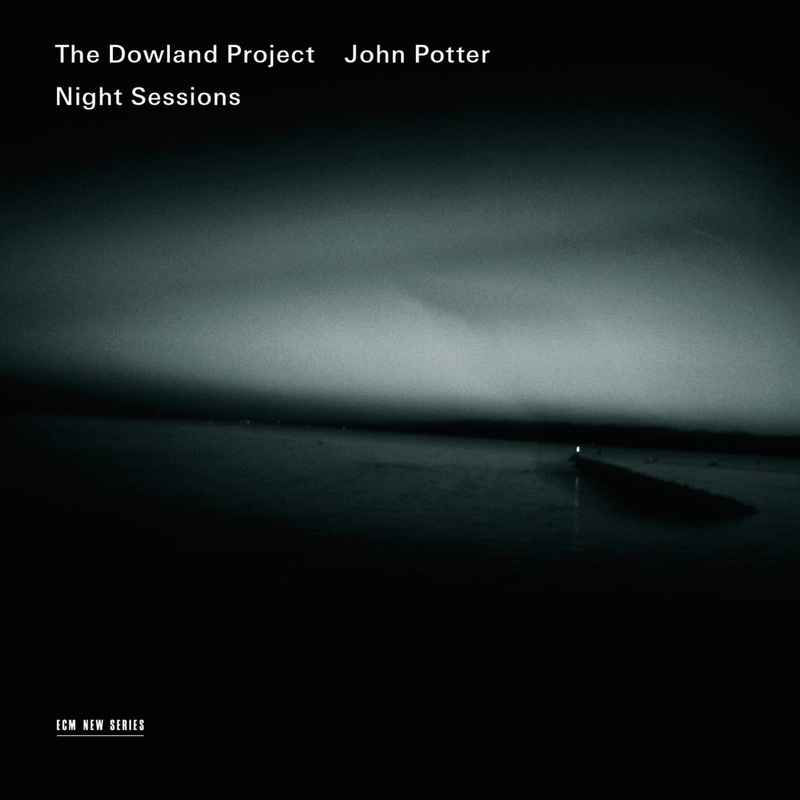 „Night Sessions“ ist das vierte Album des Dowland Project, das bei ECM New Series erscheint. Es gibt darauf allerdings auch einige "Tages"-Stücke, die, wie Potter anmerkt, auf rudimentärer Notation beruhen: "Menino Jesus à Lappa" basiert auf Fragmenten portugiesischer Pilgerlieder, und "Theoleptus 22" ist um einen byzantinischen Cantus herum arrangiert, die Lautenfantasien beziehen ihre Anregungen aus Dalzas "Intabolatura de Lauto" (Venedig, 1508) und "Attaignant's Tres breve et familiere introduction…a jouer toutes chansons" (Paris, 1529). Die ältesten Kompositionen auf diesem Album sind "Can vei la lauzeta mover", ein Liebeslied des Troubadours Bernart de Ventadorn aus dem 12. Jahrhundert, und "Fumeux fume" von Solage, einem Avantgardisten des 14. Jahrhunderts. Im Übrigen sind hier zwei verschiedene Inkarnationen des Dowland Projects zu hören: die Originalbesetzung mit Potter, dem Lautisten Stephen Stubbs und dem großen Jazz-Holzbläser John Surman erweitert um den Bassisten Barry Guy und die Violinistin Maya Homburger, sowie das neuere Line-Up mit Miloš Valent an Violine und Bratsche. musical collaborators include lutenist Ariel Abramovich, the Dowland Project, Red Byrd, the Gavin Bryars Ensemble and the composer Ambrose Field. He is a member of the German ensemble The Sound & The Fury, and with fellow tenor Christopher O’Gorman is a part of the Hyperion/University of Southampton Conductus Project. A writer and scholar as well as a singer, he has published four books on singing and is a former British Library Edison Fellow. He is Reader Emeritus in Music at the University of York, having left the university in 2010 to focus on his portfolio of freelance activities. 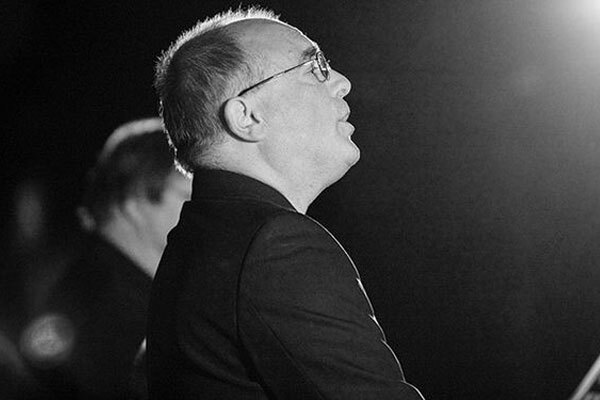 John's eclectic performing experience has ranged from first performances of works by Berio, Stockhausen, James Dillon and Michael Finnissy to backing vocals for Manfred Mann, Mike Oldfield and The Who (among others). Red Byrd, the group he founded with bass Richard Wistreich, has recorded music as diverse as Monteverdi (both straight and with electric guitars), Leonin (3 albums for Hyperion) and the Led Zeppelin bassist John Paul Jones (for Factory Records). He was a major contributor to the Hilliard Ensemble’s Officium project (for which he has five gold discs), and subsequently developed many of the ideas in The Dowland Project’s four albums for ECM; he also produced the first three ECM albums by the Scandinavian trio mediaeval. Current projects include new music for voices & vihuelas by Genesis keyboardist Tony Banks and Led Zeppelin bassist John Paul Jones, and Southampton University's Conductus Project. This exploration of 12th/13th century music consists of three albums for Hyperion with fellow tenors Christopher O'Gorman and Rogers Covey-Crump, and a live programme with a film by Michael Lynch). His lute song repertoire with Ariel Abramovich ranges from Thomas Ford to Benedetto Ferrari and beyond, and includes programmes of Dowland and Campion. He is also very busy as an ensemble coach. began as an artistic collaboration between John Potter and ECM's Manfred Eicher, and was an attempt to re-discover the essence of renaissance song from the point of view of a modern performer. John suggested Dowland and Manfred Eicher proposed augmenting the obligatory early music players with jazz musicians. The first recording for ECM brought together John Surman, Barry Guy, Maya Homburger and Stephen Stubbs and was a Sunday Times Record of the Year. The group made its live debut at the Bremen Musikfest, and has since performed on both sides of the Atlantic including St Patrick's Cathedral New York, the Munich Opera House and the Festival de Musica Visual, Lanzarote. A second album - 'Charming Sleep' took the process a stage further with a similar treatment of English and Italian songs from the post-Dowland generation.